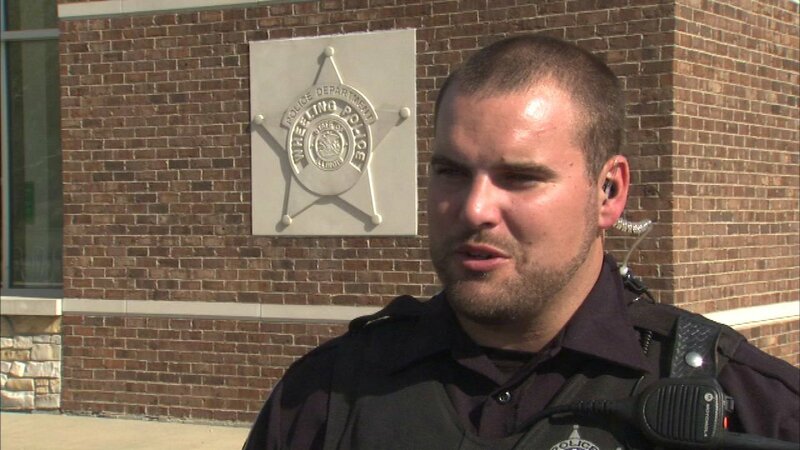 WHEELING, Ill. (WLS) -- The off-duty cop who helped save the referee who collapsed at a junior varsity football game at Wheeling High School Thursday evening spoke about the experience on Friday. Wheeling Police Officer Rick Richardson brushed off the hero title for what he did to help a referee who collapsed. "I don't see myself as a hero. I just went out there and reacted and did what I was trained," said Officer Richardson. At the time, Officer Richardson was working as a coach when he ran to help and started CPR. A health teacher watching the game ran and got a defibrillator. Richardson hopes to see the ref once he's fully recovered. Deputy Chief Todd Wolff of the Wheeling Police Department said the 55-year-old referee suffered an apparent heart attack. Police said the referee was breathing and talking as an ambulance took him to the hospital.